Light waves can have healing properties when used in specific wavelengths. At AuraSpa, we offer the LightStim LED bed for light and energy therapy, the first bed of its kind to be FDA-cleared for therapeutic use. Light therapy has the advantage of using a non-invasive, safe method to enhance healing in the body and skin without any downtime after treatments. One of the many appealing aspects of LED light therapy is that it is a natural treatment that spurs the body’s own rejuvenation properties. Light therapy has been used for decades in different settings, from promoting healing in medical settings to facial treatments to improve the skin. 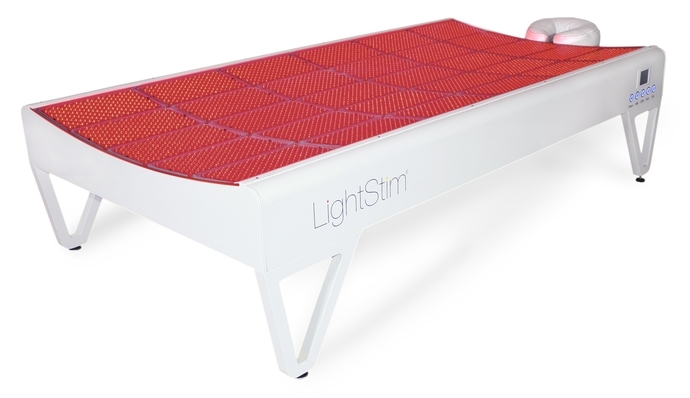 With the LightStim LED bed, multiple spectrums of light are used to impact the skin and tissues in the body. It is not just the face that is rejuvenated but also the skin, joints and circulatory system. The entire body benefits for overall wellness. With so many possible benefits, LED light therapy is a revolutionary option for promoting healing and rejuvenation. It can help those with inflammation that have pain or limited range of motion while improving their skin and appearance. To learn more about LED light therapy and our other treatments, contact our AuraSpa Healing Center to schedule a consultation.